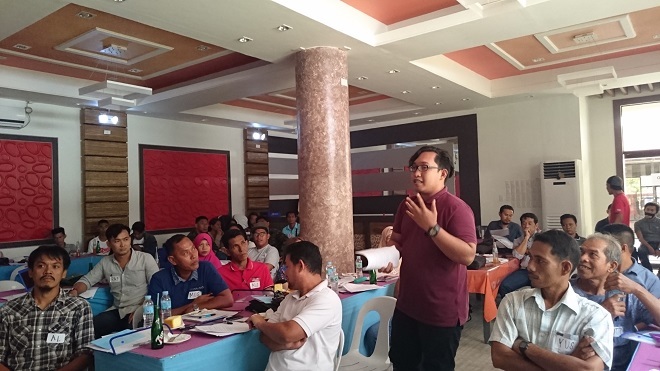 The Philippine Legislators’ Committee on Population and Development (PLCPD), in partnership with Tarbilang Foundation, equipped the municipalities of Tawi- Tawi on reproductive health through the Training of Trainers on the Key Points of the Responsible Parenthood and Reproductive Health (RPRH) Law held on June 26 in Bongao, Tawi-Tawi. 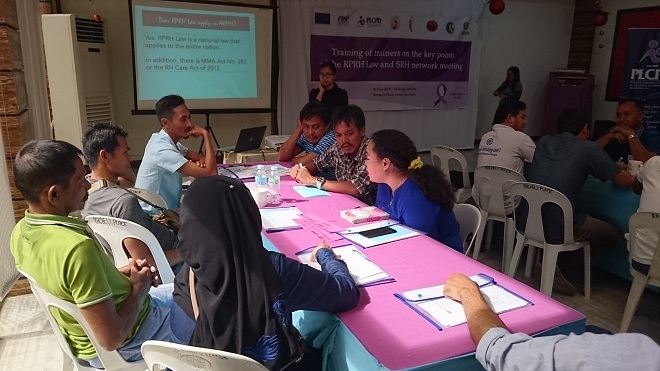 50 participants representing various sectors (government and civil society) from the municipalities of Bongao, Panglima Sugala, Sitangkai, Sapa-Sapa, and Sibutu joined the training. PLCPD facilitated the workshop on frequently asked questions about RH, which aided participants to prepare answers for difficult and sensitive topics. Some of the questions included: “Is family planning allowed in Islam?”, “Are family planning methods safe?”, and “How can HIV be contracted?”. Mr. Rasheed Tikmasan, Deputy Director of Tarbilang Foundation, showed solidarity in the advocacy for the full implementation of the RPRH Law in Tawi-Tawi as he formally opened the program. 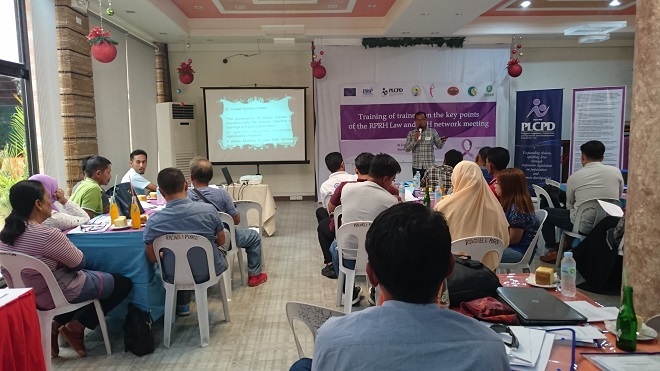 To prepare the participants in the workshop, Ustadz Julhussin Jadjulie discussed the Fatwa on Family Planning and Reproductive Health while Ms. Aurora Quilala of PLCPD shared with the participants the salient provisions of the RPRH Law and the current status of implementation. Ms. Elsa Pescadera, Chief Technical Officer –III and Provincial Family Planning Coordinator, shared the situation of reproductive health in Tawi-Tawi. The second part of the activity was the SRH network meeting, in which the participants shared some of their good practices in their advocacy on reproductive health. Among those mentioned were conducting a lecture, forum, community gatherings on reproductive health, information dissemination on free family planning commodities, organizing hilot groups, and strengthening the Local Health Board.